Bijan Chemirani first took up a musical instrument at the age of seven, in the mid-1980s. It was a zarb made of papier mâché that his father had brought back from Iran. What his fingers produced at that time was an imperfect rhythm, but by dint of listening, observing and training, Bijan became a master of the zarb, like his father Djamchid and his brother Keyvan. The zarb, also known as tombak, is a goblet drum made from a single block of wood, turned and hollowed out, and covered with a goat- or camel-skin head. It plays an important role in Persian classical music. Bijan’s father, Djamchid Chemirani, arrived in France from Teheran in the early 1960s. This virtuoso percussionist was a student of Hossein Teherani, who was the first to raise the status of the zarb by making it into solo instrument instead of an accompanist. In France the drum attracted the attention of creators such as Maurice Béjart and Peter Brook, who asked Djamchid to work with them. As a good teacher he also passed on his skills to musicians such as Jean-Claude Drouet and Bruno Caillat – and, of course, to his own children. He also introduced them to the rich Persian culture, Sufi poetry, classical singing and the radif repertoire (the old Persian melodies that have been passed down from master to student over many generations). Bijan turned first of all to the kamanche (a bowed string instrument), then the piano and the accordion, before returning to the zarb. He studied the zarb with his father and in trio with his older brother, Keyvan. Bijan was not really a hard worker at school; music was always more important. He played as much as he could, discovered other percussion instruments, such as the bendir (frame drum), riqq (tambourine) and udu (clay vessel drum), and conceived a passion for rock, rap and the great singers of Iran. At the age of eighteen, he persuaded his parents to let him live by and for music. He thought he was going to carry on learning at a leisurely pace, but Djamchid had other ideas: he sent him to Zurich to take his place in a concert with the Percussion Orchestra, which brings together percussionists from all traditions. During that first contact with an audience, he suffered so badly from stage fright that he would have been discouraged, had not the other musicians received his performance with such enthusiasm. Living in Marseille, Bijan is in close contact with the Mediterranean culture and with that of Occitania. His open mind enables him to increase his capacities constantly. In 2001, his first album, “Gulistan“, reflected his career up till then. On the album we find his father and his brother, but also Ross Daly and the Greek Socratis Sinopoulos, the composer Henri Agnel and the Occitanian singer Manu Théron. A year later, with “Eos“, he refined his work as a composer and broadened his horizons yet further. As well as percussion instruments, he played the saz (lute), and beside him appeared the Senegalese singer Pape N’Diaye, the multi-instrumentalist Loy Ehrlich, the jazz guitarist Peter Ruiz, Armenian duduk player Levon Minassian, his sisters Mardjane and Maryam for the vocals, and the Cretan musician and former pupil of Ross Daly, Stelios Petrakis (lyra, lute and saz). His adventure continued with the latter on the CD “Kismet“, and they gave the first concert of their repertoire at the Strictly Mundial Festival in Marseille in 2003. Bijan’s reputation continued to grow and he worked with more and more other artists. His dexterity and his very broad palette attracts artists from all backgrounds, including the saxophonist Jean-Marc Padovani, the clarinettist Yom, the mandolinist Patrick Vaillant, the flamenco guitarist Juan Carmona, and the vocalists Amina Alaoui from Morocco, Annie Ebrel from Britanny and Sam Karpienia from Marseille. Guitarist Serge Teyssot-Gay (ex-Noir Désir) and former Police singer and bass player Sting also appreciate his skills. In 2007, with his sister Maryam and Greek singer Maria Simoglou, Harris Lambrakis (ney flute), Kevin Seddiki (guitar) and Pierlo Bertolino (hurdy-gurdy), he formed the group Oneira, a laboratory for experimenting with traditions and sharing dreams, to which each musician brings his or her inspiration and talent. The group’s first album, “Si La Mar“, was released in March 2009. It was followed in 2012 by “Tâle Yâd“. 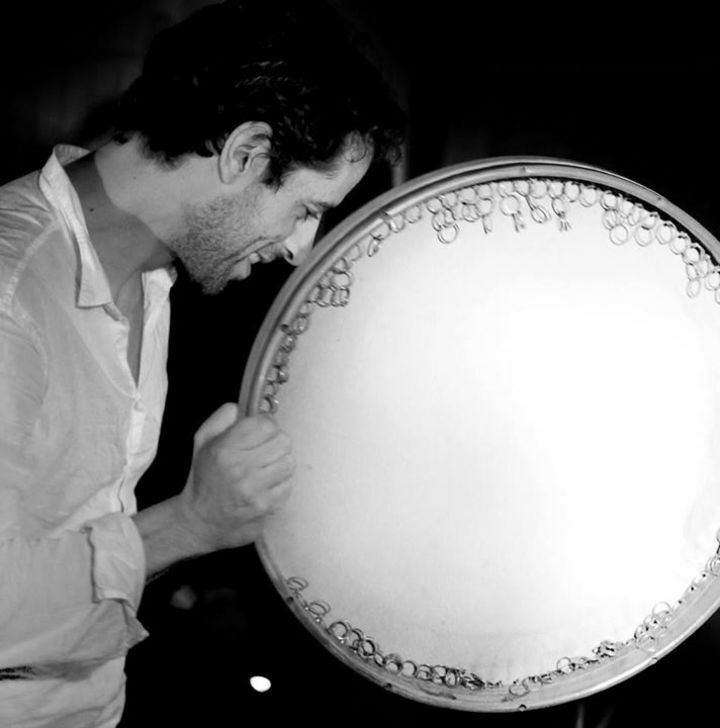 As well as appearing with Oneira, Bijan Chemirani finds time to play with the Trio Chemirani, the Lopez-Petrakis-Chemirani trio, the Forabandit project, which brings him together with Sam Karpienia (former singer with the Marseille group Dupain) and the Turkish musician Ulaş Özdemir, and to work on solo recording projects.